FREMONT, Calif., Oct. 12, 2017 – Electronics For Imaging, Inc. (Nasdaq:EFII) announced that Dome, a commercial print solutions provider headquartered in California, recently purchased EFI™ VUTEk® FabriVU® 340 soft signage and VUTEk 5r roll-to-roll printers. The new high-volume inkjet printers are to be installed in Dome’s newly renovated, Sacramento, Calif., facility by the end of this year. The purchase is part of a strategic re-invention of the company that also includes merging several locations into the new facility, as well as opening new company sales offices in Chicago and Southern California. The two new presses will replace three models from various manufacturers; once installed, Dome’s superwide-format inkjet graphics operation will exclusively use EFI printers. The 5-meter wide VUTEk 5r model is designed to be the industry’s most technically advanced LED roll-to-roll production offering, and has the highest speed and resolution in its class, offering superior quality using EFI UltraDrop™ Technology 7-picoliter print heads. Dome’s printer includes a complete, integrated production workflow with value-added options, including an inline finishing system for all-in-one printing, x-cutting, slitting and collecting; ID backprinting; double-sided printing; additional white and light colors; and a vacuum table for rigid substrates. Dome’s new, 3.4-meter wide VUTEk FabriVU 340 printer meets growing customer demand for textile soft signage. Dome is pursuing the print industry’s Sustainable Green Printing (SGP) Partnership, and soft signage also fits well with the company’s effort to expand environmentally friendly solutions. The new soft signage printer was developed with the advanced textile imaging technology knowledge base that EFI Reggiani – a global leader in industrial textile imaging – has established over the past 70 years. Printing in ultra-high resolutions up to 2,400 dpi using EFI aqueous dye sublimation inks, it also has the unique ability to print on transfer paper or direct-to-fabric with the same inkset, saving considerable labor and machine downtime compared to other printers requiring ink changeovers for different substrates. New EFI Fiery® proServer digital front ends (DFEs) installed with the new printers provide the imaging technology needed for stunning, precise and predictable colors. EFI’s FAST RIP (Fiery Accelerated System Technology) included with all Fiery proServers, keeps printers running at their rated speeds, ensuring a maximum return on printer investments. In addition to its new VUTEk printer and Fiery DFE purchases, Dome is also a long-time user of EFI MIS/ERP workflow software. EFI and Dome announced Dome’s new signage and graphics capabilities during the 2017 SGIA Expo in New Orleans, where EFI is exhibiting VUTEk roll-to-roll and FabriVU soft signage products along with its complete ecosystem of digital print production technologies. For more information on EFI products, visit www.efi.com or call 800-875-7117. Big, bold and new! A new face on their brand identity. Sacramento, CA – Big, bold and new! 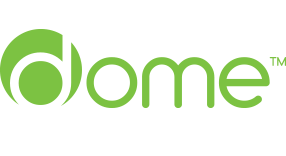 Dome comes full circle with their strategic plan to revolutionize their business including a new face on their brand identity. Dome has a 103-year history and there are bound to be changes in such a great time span. Since 1914, Dome has remained relevant by evolving with the market; from engraving to commercial lithography, and beyond. “Removing “printing” from our name and giving a fresh new look to our logo signifies the continuous evolution of our brand. The products and services that we offer today cannot be simply put into a box or just be about print,” remarks Tim Poole, CEO and Partner. Dome history: Founded as Dome Engraving by Byron Dome in 1914, Dome was a trade house supplying engravings for the local printers and newspapers. 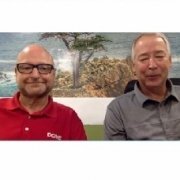 Ray and Arlene Poole purchased the company in 1969 and recognizing the potential in commercial lithography, they shifted the focus to offset printing to form Dome Printing and Lithograph. https://www.domeprinting.com/wp-content/uploads/2017/06/Bob-NewBC-2-v2.jpg 600 1050 [email protected] https://www.domeprinting.com/wp-content/uploads/2018/05/dp_l.png [email protected]2017-09-14 16:22:342017-09-14 16:53:31Big, bold and new! A new face on their brand identity. Sacramento, CA –The bold moves keep coming as DOME builds a bindery to rival their newly equipped offset and digital press rooms. On the heels of this month’s addition of two HP Indigo 12000 presses to the digital press fleet and March’s announcement of the KBA Rapida 205 and 106 offset presses, DOME is partnering once again with Muller Martini to add to its powerhouse production facility. Muller’s Primera MC is an advanced and highly efficient saddle stitcher for the state-of-the-art super facility. Its innovative Motion Control technology dramatically reduces setup times, and the result is a highly efficient saddle stitcher perfectly designed for today’s fast-paced, high quality, demanding projects. “The Primera MC will deliver increased capacity and improved capability to our finishing department. The efficiencies of this stitcher are important for the production of small to medium offset projects and uber critical where digital print is concerned. This investment allows us to keep up with the output of our two new HP 12000s, which are installing as we speak,” remarks Misha Pavlov, Dome’s President. The Primera MC will be delivered to Dome’s new 320,000 square facility that will be in full production by the end of 2017. “This is another acquisition that is in alignment with our core strategic initiatives. We have the right location and we are making the right equipment choices to continue to streamline, be more efficient and drive our costs down,” states Tim Poole, Owner and CEO. 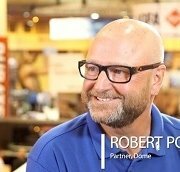 “Each step we take is helping us to expand into exciting new markets, while offering current clients amazing benefits,” concludes Bob Poole, Owner and CMO. 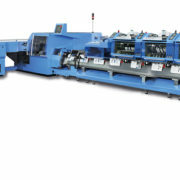 Muller Martini (www.mullermartiniusa.com) is the world’s largest producer of print finishing solutions for commercial and book printers, trade binderies, newspapers and digital book manufacturers. Its groundbreaking “Finishing 4.0” platform delivers innovative systems, software and machines that seamlessly accommodate offset, digital and hybrid printed products while optimizing workflow. In addition, through MMServices, Muller is a leading provider of performance enhancement programs which offer continual improvement for equipment, people and processes. With U.S. headquarters in Hauppauge, New York, Muller Martini’s extensive sales and support team provides responsive service to printers and binderies nationwide. Sacramento, CA – In a year of bold moves for DOME, this is the next great addition! 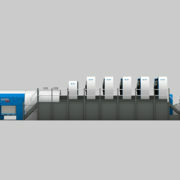 DOME is welcoming two HP Indigo 12000 presses. The 29 inch HP Indigo 12000 Digital Press produces the widest commercial application range with superior print quality, high productivity, and wide versatility. The HP Indigo 12000 is capable of 3,450 4/0 20”x29” sheets per hour of 50# text up to 18pt. “This is another critical piece of our strategic plan to revolutionize DOME, and lead our market. The investment will drive sales by bringing greater capacity and new capabilities to our customers, while continuing to expand our relationship with HP. You can’t put together an unparalleled powerhouse offset pressroom like we have, and not complement it by bringing in these two darlings to bolster our digital offering,” states Misha Pavlov, DOME’s President. Although the newly added KBA presses will deliver direct to DOME’s new 320,000 square foot facility, the two HPs are needed immediately and will be delivered to DOME’s current main facility in Sacramento on July 17th , and will be operating by the end of the month. Sacramento, CA – DOME is embarking on a momentous transition that will consolidate their five facilities and merge the now 280,000 total square feet of production into one location. DOME will expand into a newly renovated 320,000 square foot facility in Sacramento’s McClellan Park. 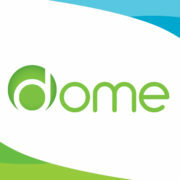 “McClellan Park is excited to welcome DOME into our growing tenant roster. The buildings are structurally very well suited for DOME’s operations. 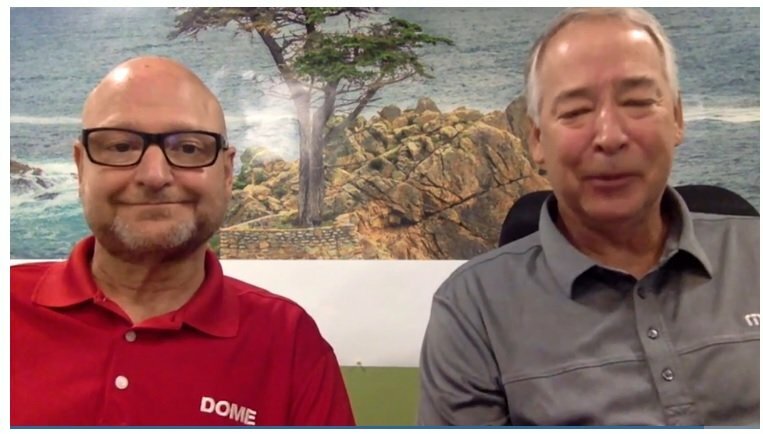 We’re glad that we are able to accommodate DOME’s growth.” Ken Giannotti, Senior Vice President of Marketing and Leasing stated. This move is the principal piece of an aggressive growth strategy outlined by DOME’s executive team. 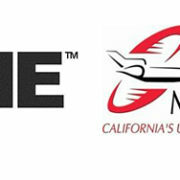 A previous announcement regarding DOME’s purchase of two KBA Rapida presses was the first step in DOME’s core strategic initiative to position their business to provide not only the highest quality products, but continue to drive down costs by being the most efficient printing facility in the market.